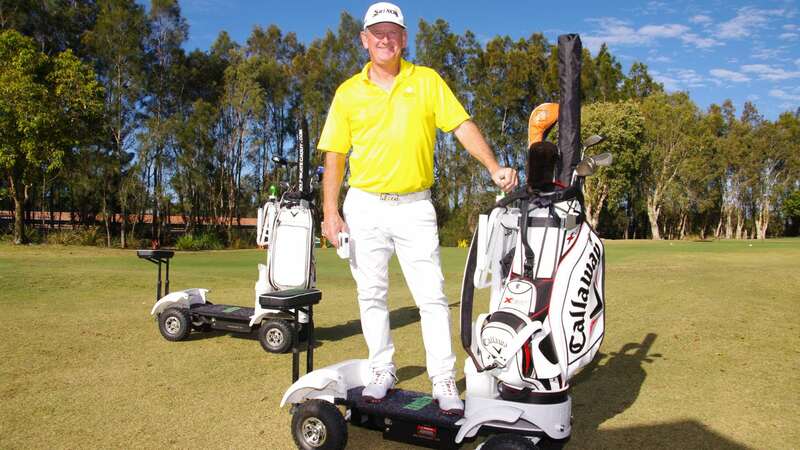 What is a Golf Skate Caddy? Let’s face it – driving a golf cart is fun. Zipping up and down cart paths, driving across smooth fairways, speeding down a hill – it’s all very hard to beat when you’re out on the golf course on a beautiful day, the sun shining, the grass green and no cares in the world. 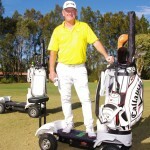 A new personal golf transport produce called Golf Skate Caddy, though, just might come close or even surpass the golf cart. 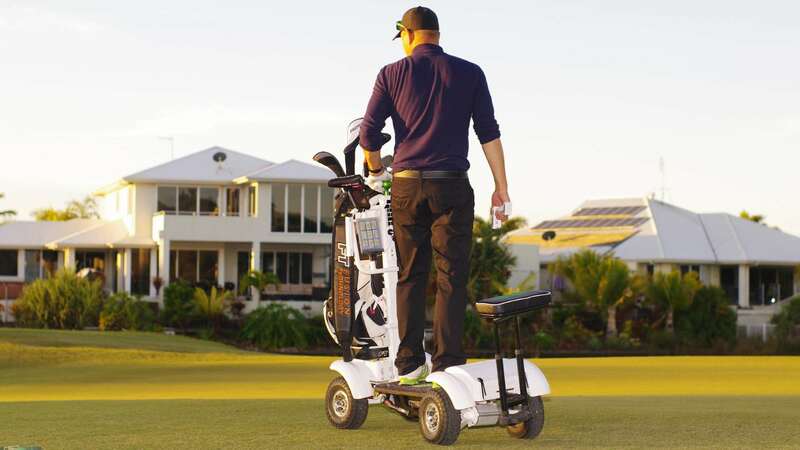 Designed for one player, the Golf Skate Caddy is a small golf cart-type platform that lets you stand up as you move around the course. The Caddy includes room for your bag of clubs, but that’s it – no one else can join you. 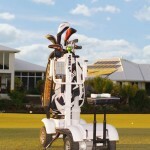 Here’s the big advantage of the Golf Skate Caddy – sitting in a golf cart after every shot you take allows your muscles to stiffen up and get cold. 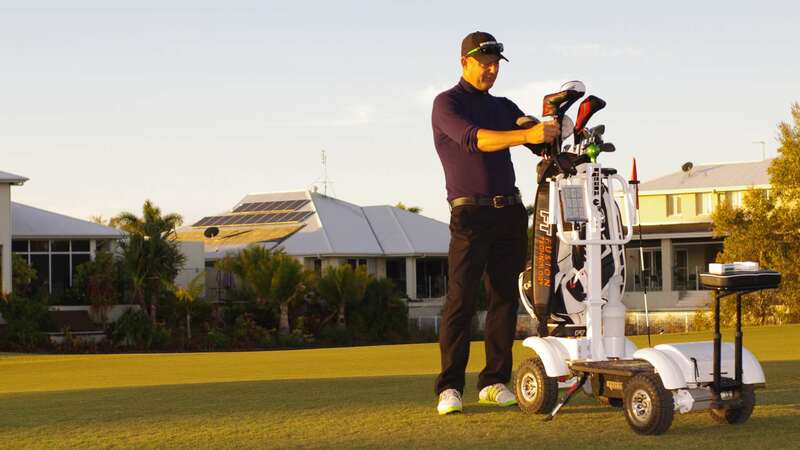 The Golf Skate Caddy is part of a fitness program that keeps your core muscles warm as you move around the course. You still get a partial break because you are not walking the entire course, but you don’t stay so still that you have time to tighten up. This can lead to higher performance levels, which in turn leads to lower scores and happier golfers. 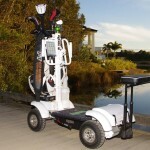 The smaller, more maneuverable Golf Skate Caddy offers several benefits over a traditional golf cart. The pace of play can be measurably sped up because each player can now drive straight to where their golf ball landed and be ready to play their next shot from that particular spot. 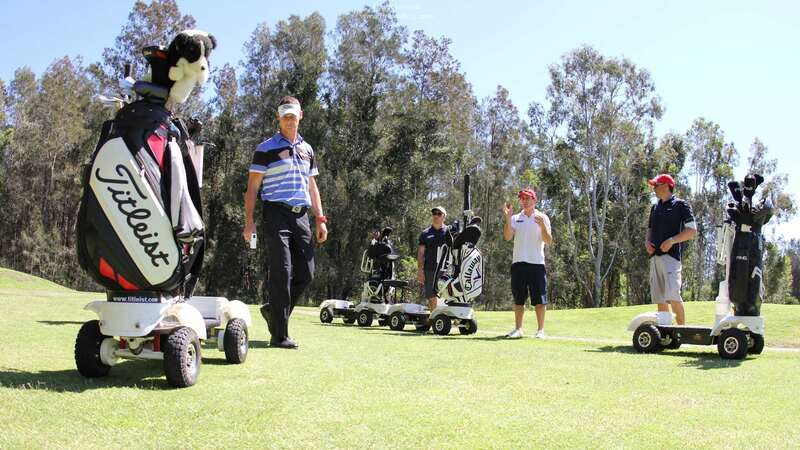 Your foursome won’t have to all pile into one cart to head to everyone’s ball before they finally get to your turn. You can just drive straight to your spot. The smaller carts also cause less turf damage than traditional carts sometimes make as they slip and slide around the course. The physical benefits are numerous as well – keeping your muscles warm and lose works much better in the long run than letting your body stiffen up as the day goes on. 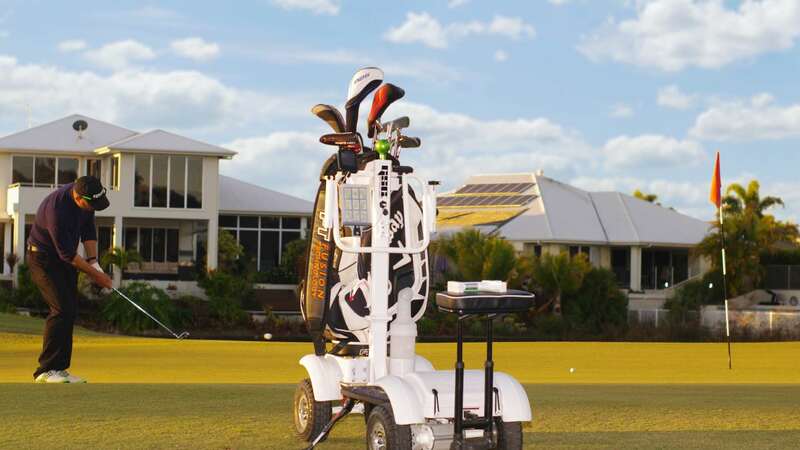 Many studies have shown the value of using as standing desk at work – the Golf Skate Caddy takes advantage of the same principle: any movement is better than no movement. 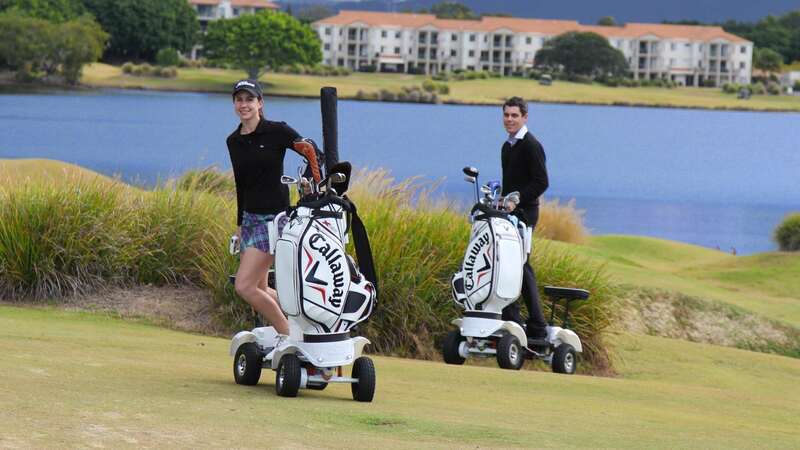 Golf Skate Caddies are also fun to ride – you can play it straight or you can turn your feet sideways and bring some surfing action into the mix. Just be sure to lean the right way and stay under control so you don’t wipe out. Adults and kids alike will have a great time riding as they play. 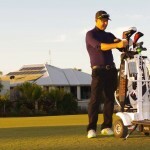 Features of the Golf Skate Caddy include a neon green umbrella and umbrella mount, a monopole hand grip, a heavy duty bag and strap mount, a divot pourer, a golf bag front caddy, an LED headlight and a three point suspension system. 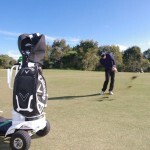 Golf Skate Caddies offer lease, purchase or revenue share options. Full prices are not listed on the site – just contact the email address or phone number on the site for more information. 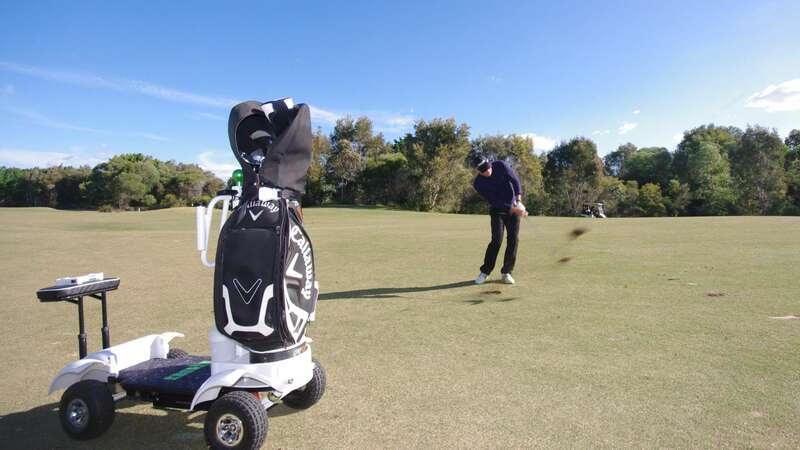 Your Golf Skate Caddy is also covered by a manufacturer’s warranty for one year against faulty workmanship. 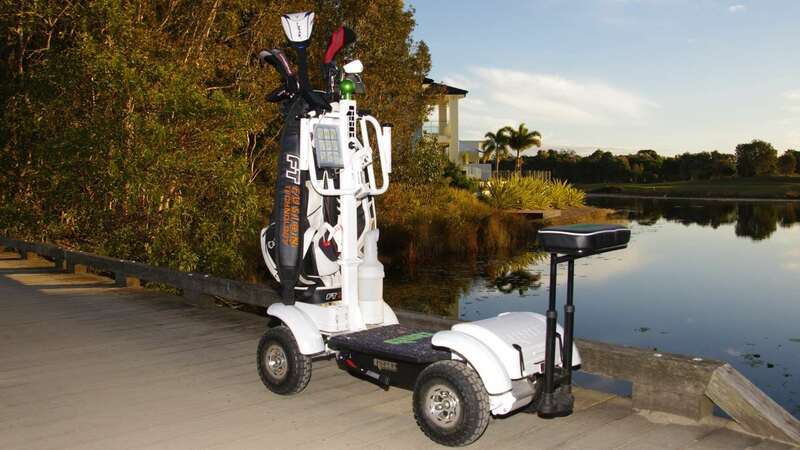 If you have a hard time giving up a traditional golf cart, or even walking the course, the Golf Skate Caddy could be just the ticket for you. If you keep your legs, back and body moving during your whole round, you should be that much fitter and closer to being in better shape and playing better golf. Your scores can only improve from here!